The words are sometimes harsh and the visualizations raw, but they are reality for Jesse-Ray Lewis who grew up in Appalachia surrounded by violence, drug dealing, and addiction. He entered foster care at age 12 and aged out of the system in 2016 at age 18. 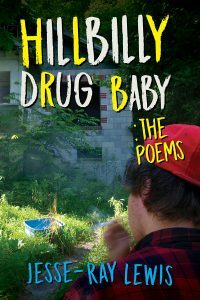 The poems start out as an elegy, a mournful expression of his sad beginnings. Then they begin to show hope as the author attempts rise up out of that shattered childhood as a quest for answers and a search for a new beginning. Jesse-Ray Lewis is the product of a drug-filled childhood, an absent mother, a father who was indifferent at best, and a school system that failed to properly educate him. Having entered foster care at age 12 and then becoming “aged out” of the system in 2016, he was ill equipped to deal with everyday life. 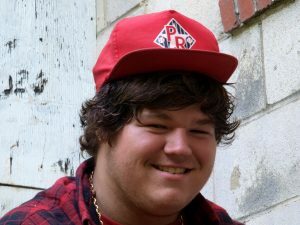 At 19, he walked away from a sordid milieu of gangs and violence and—after a stint of living in an abandoned house and sleeping under a tree—sough food and shelter from strangers in a small Appalachian town. To maintain his sanity while trying to establish a stable footing, he began writing his experience of his life in poetry. He is currently doing volunteer work and entering community college. Award-winning journalist Andrea Brunais offers a glimpse of the story of Jesse-Ray Lewis and the Appalachian town that tried to help him turn his life around.